Good morning my creative friends! Welcome to our 3rd & final day of our November release sneaky peeks~! Well, I hope you enjoy the "Finale" hehehe! Today my design team & myself are showcasing 3 new sets that all coordinate together! 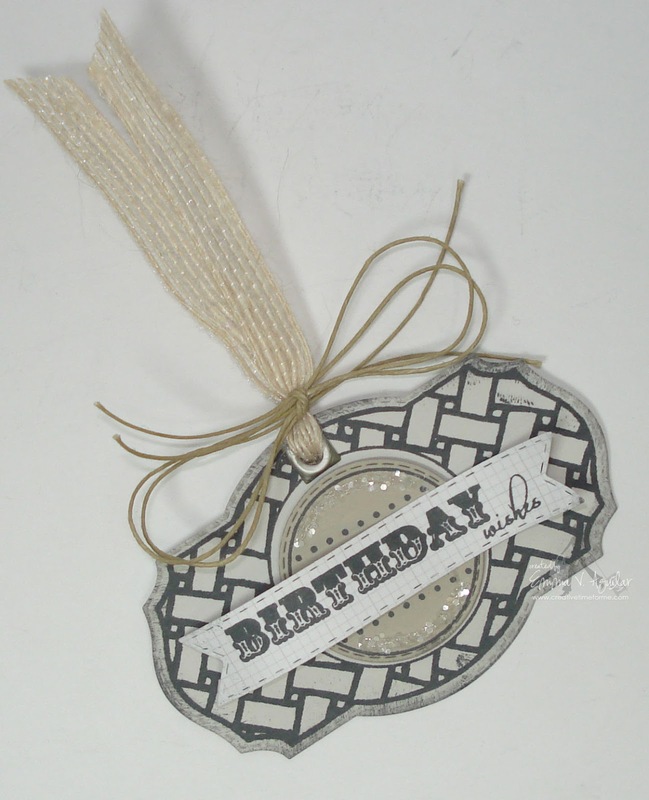 They are "Vintage Label Dies", "Vintage Sentiments" & "Vintage Label Stamps"! 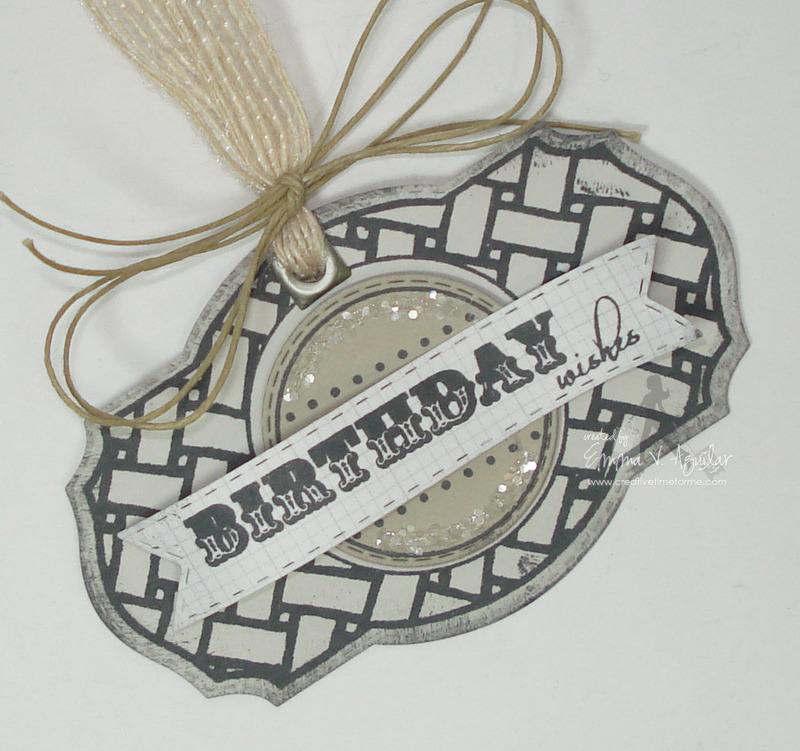 I designed this die to ALSO coordinate w/my "Scallop & Stitch Circle" die set! You can ALSO use ANY & ALL of my "All Around Sentiments"! This is DEFINITELY a SUPER FUN set that can make ANY project look ADORABLE! ~(Soon to be release) "Vintage Label Dies"
~(Soon to be release) "Vintage Label Stamps"
~(Soon to be release) "Vintage Sentiments"
Up next is a SUPER SIMPLE & not to mention EASY to mass produce candy bar! For this last project, I made a simple "manly" tag out of the die! It's simple, but yet very classy looking! I just LOVE how it came out! Now onto my FABULOUS design team! Don't forget to click on each of their names to visit their blogs for more details on their BEAUTIFUL creations! Don't forget to visit my design team's blogs & leave them some much DESERVED love! ;) I will see you back here tomorrow for the start of our 2 day Blog hop to celebrate this FABULOUS release @ 8:00am PST! This release will be available for purchase tomorrow, Nov 15th at 8:00am PST HERE! P.S. as I stated in my video, I am offering a free CUTE stamp set "Thank You Hugs" to everyone who places their order by Sunday @ midnite! That will be the deadline to recieve this FREE stamp set! (after that, I will offer it for sale) This is a little token of my appreciation for ALL of you who made this ALL possible for me to continue to do what I LOVE! Also to celebrate my 2 year anniversary! I still can't believe I came out w/my FIRST stamp sets 2 years ago......WOW! This offer starts tomorrow, Thurs Nov 15th @ 8am PST & will end on Sunday, Nov 18th @ midnite! ONE per customer please! You do NOT have to add it to your cart or use a special code, we will just include it w/your order! Here is a peek at the CUTE stamp set called "Thank You Hugs"! Congrats on 2 years! I love your stamps! I can not wait until tomorrow! You and your staff (AKA-your Mom) will be Super busy! I can not wait to get my hands on these! Much love my friend! I also hope you will have many more wonderful sets coming for years to come! PS I love ALL the projects! Another AWESOME day of projects Emma! !LOVE everything you made...that card is gorgeous and so fun, the candy bar....what a CUTE way to dress it up and that tag......perfect for any gift and a gift in itself!!!! I am soooooo excited to place my order (it's my b-day present from my hubby!!) 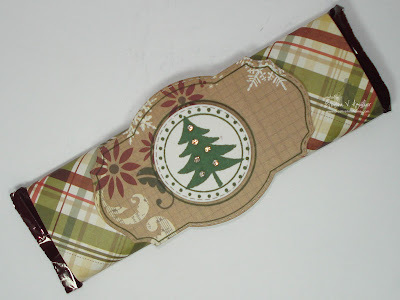 This has got to be one of my favorite releases and a MUST have for any crafter!!!! Congrats on 2 years and thanks for making such awesome stamps and dies!!! I agree just awesome project and I too love everything you make you know how to kick it up a notch with your stitching and of course your awesome stamps & dies. Can't wait for the kickin' blog hop! Love the little font blocks used on the ornament, so cute! This is just an awesome release Emma! oh boy that label die is awesome Emma! Your releases are always so exciting! Love, love, love the dies!!!! Can't wait until tomorrow. I really love how all your stamp sets work together. oh MY!!! Miss Emma, this is absolutely AWESOME!! the tags, toppers, papers and tips are wonderful!! I love them all and can't wait until tomorrow! now to go see your DT team's projects!! thanks so much for all! Love the shape and that it coordinates with your other die and stamps. Wow Emma this is a fabulous release for sure. I am going to be ready to buy something when it goes on sale! You really did an awesome job and you and the DT just continue to inspire me daily! Wow! This is an absolute must have! I totally love the candy bar idea! These new dies are so versatile! I love seeing how everybody is using them! Emma, who would have known that they would have made the perfect treat bag topper??? 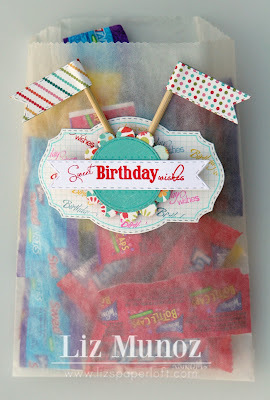 Love your card, candy bar wrapper and tag! I love how awesome this release is and how it can be used in so many different ways!! You have outdone yourself yet again!! OMGOSH, Ms. Emma you're killing me!!! My checkbook can't take anymore, LOL. Super loving this release. Super all projects. Great sizes of the dies. I love the stitches dies. Very lovely. Thanks for share. Wow! What awesome projects by you and your team! I am loving the new release! They are going to be so versatile! This is great. Just love it! Wow! Happy 2 year Anniversary!!! The traditional gift for a 2nd anniversary is cotton! So nice of you to give a stamp set instead!!! Cheers to many more creative years. This new release is awesome. Oh my gosh, 2 years of pure awesome!! How great is this release, I'm so in love! Oh Miss Emma-you have done it again! Rocked it right out of the ball park! I think I "need" them all hee. Can't wait to start creating with all these goodies. Thanks again! WOW!! !I love the this that you make they are so AMAZING!!!!!!!! Thanks So much for the BEAUTIFUL PROJECTS!!!!!!!!! Loved your projects...especially your manly tag!! Looks like another great release! Awesome release, Miss Emma! I am in love with each and every set. Great job, as usual. Can't wait to find many more ways to use this release! Can't wait to see the unveiling in it's entirety! These creations of yours are beautiful!! One creative lady and a bunch of Creative ladies on your DT!! can't wait for the two day hop!! WOW Emma! 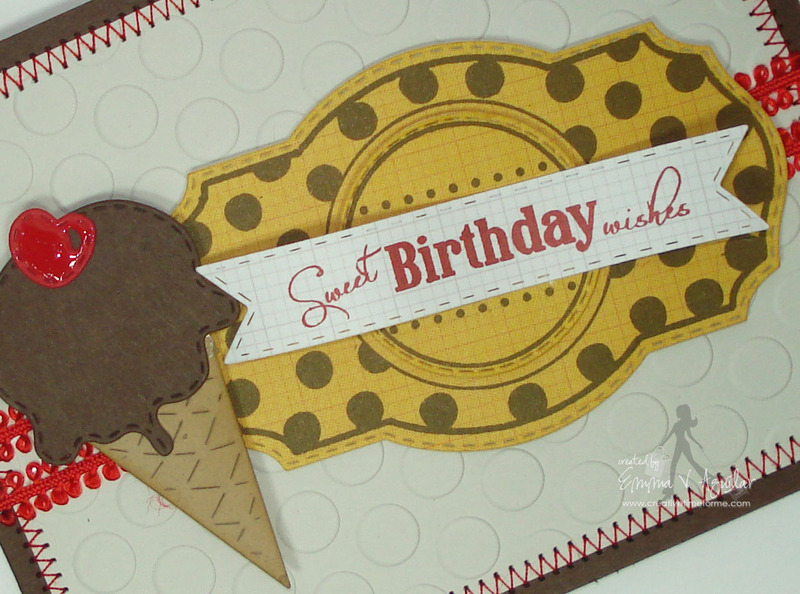 First Congratulations on 2 fabulous years of creating stamps and dies! Looking forward to many many more! Second - this release is one of my favorites! (LOL-I'm sure I say that about a few) Love it all and can what to get my hands on this release! Again congratulations! I've really been enjoying seeing everything you and your Design Team have been making with the new releases. Can't wait to see the new release in its entirety tomorrow! I'm speechless as always Emma!! 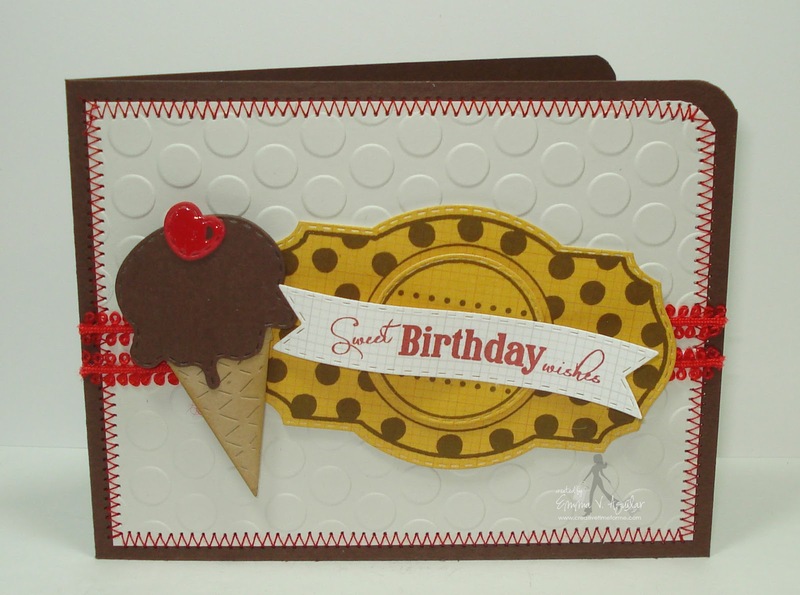 Another fabulous stamp and die sets! Can't wait to get these. I love all of the stamps and dies in the release and can't wait to get my hands on them. The stamps for the labels are Wow! All of the projects are beautiful <3 So much talent! Great job everyone! You Emma are the reason I would like to start my own little business. I sit here for a while lurking over my favorite blogs and you never surprise me how creative you are. Being sick and unable to create breaks my heart. I don't know if I am coming or going at times but you often bring a smile. I am for ever grateful for all you do. so many cute projects. tfs. Love your new release the dies and the stamps are great. Cute projects, especially love the candy bar yummy. Love that die set Emma!!! Can't wait to order it. I'm super excited to order. This is another fantastic release. Love this label die. It really like that it is compatiable with the circle die and stamps. That's what i love about your stamp sets Emma. They can be used together and that makes them even more versatil. Love your projects. 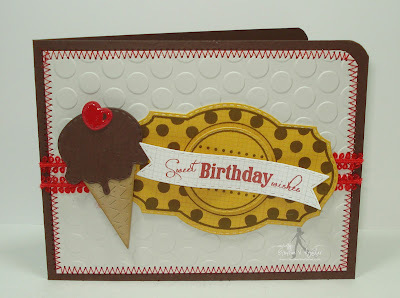 I'm so excited to get your new Vintage Label die and stamps! They are SUPER AWESOME! And your special stamp set is so ADORABLE...you're so thoughtful to include it for your customers! Love your BEAUTIFUL projects that you shared today...I've been inspired :) Take care! You know how in real estate they say Location Location Location? Well with your products I always think Co-ordination Co-ordination Co-ordination!!! Becase EVERYTHING co-ordinates so well together!! LOVE IT!!! You are awesome once again. :) Thanks for all of your hard work and all you do!!! Hugs! Love what you have created so far!!! Thank you for sharing, and this one looks like a must need!!!! I am loving your teeny tiny tags!! I love your stamps and all of the sneaky peaks. I can't wait to see them in the morning! Emma ~ OH my GOODNESS!!! Look at ALL your AMAZING, CUTE, FABULOUS and FUN projects! I am in AWE of your talent ALWAYS!! You not only have the most AMAZING products but your ideas and vision just WOW me!! So many AWESOME ideas here for the future!!! That birthday ice cream card ~ I will steal ~ oops I mean borrow a GREAT deal!! You know how I feel about you, your products this team ~ HAPPY 2 year anniversary Sweet Emma!! You have inspired me so many times I can not count! not just in the crafting world either ~ your strength is AMAZING!! Hugs! LOVING everyone projects this week!!! Fabulous new release! I can't believe all the beautiful things everyone has made from such basics! There are so many possibilities! I always love your projects and your stamps/dies are just awesome. I would love to get them all! Everyone has done such a fabulous jobs. I am in LOVE with your products!!!! I guess you already knew that, huh?